Why didn’t Nixon destroy the tapes? Nixon was sick with pneumonia at Walter Reed Hospital when Butterfield disclosed the existence of the taping system. He had about three days before the first set was demanded by the Special Prosecutor. During those three days, he got conflicting political and legal advice, as described in some detail in his Memoirs. Buzhardt advised him to destroy them immediately; Garment said they were evidence and he’d quit publicly (a “noisy departure”) if they were destroyed. Besides, he asked, why destroy them if you did nothing wrong? When I was on the defense team, I was told that as lawyer, Nixon knew they were evidence and shouldn’t be destroyed. I now believe that was bunk – an after-the-fact justification for the situation in which we found ourselves. It is possible that the President did not think he had done anything wrong, so there was nothing to worry about. Each of us, after all, rationalizes past indiscretions – and cannot conceive of a partisan prosecutor coming along afterwards to suggest adverse interpretations of our actions. 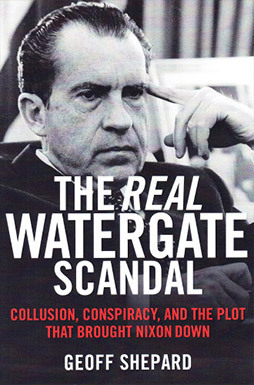 Besides, Nixon seemed quite certain – adamant — that the tapes were his personal property (which was true) and that no one could take them from him (which turned out not to be true). I think what tipped the balance in not destroying them is that they were his primary source for the books he intended to write in his post-presidency. After all, that’s what Ike had done. But Nixon had ceased making any first-hand record when the tape system was installed, so destroying the tapes was something like destroying his personal pension plan.